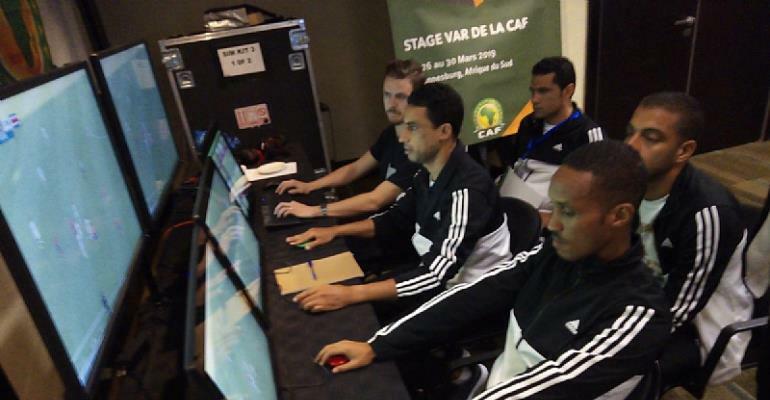 The undying efforts of growing the game on the continent by CAF continues as the continent’s football governing body kicked off its first-ever VAR Workshop in Johannesburg on Tuesday, 26 March. The five-day workshop set to conclude on Friday, 30 March sees a total of 21 referees and 23 assistant referees from the 32 different CAF member associations going into an in-depth workshop on how to use the latest innovative technology that has been introduced to officiating. Technical Director of IFAB, David Elleray who is spearheading the five-day gathering said the officials were quite receptive to the technology and were looking forward to implementing what they have learnt in their respective leagues to grow the game on the continent. “I am happy with the type of response coming from the officials in these early stages of the workshop. They have shown a good understanding of the system so far and have no doubt that they will do well in the practical sessions and successfully implement this” said Elleray. The five-day workshop involves both theory and practical sessions which will see the officials being put to the test in real game situations where they would need to make use of the system to make accurate and fair decisions. “The system is designed to help match officials make sound decisions in key situations which they may have possibly missed or could not see with the naked eye. It will also pay a massive part in getting rid of instances of simulation in football” added Elleray.